Librarians often wear many hats during the course of their workday. 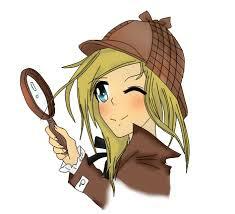 Recently, I donned my detective hat to solve a mystery. An old photograph of Charles Lindbergh and his wife Anne Morrow Lindbergh was found in our bookdrop. We had no way of knowing who it belonged to. Stamped on the back of the photograph were the words, “Valuable Original. Must Be Returned.” There was an address in New York City also listed on the back for the Bettmann Archives and I sent the photo off to them with a letter explaining how we found it. The envelope was returned one week later as “Not Deliverable”. So I did a little searching and found some fascinating information. The Bettmann Archive is named after Dr. Otto Bettmann, a librarian from Berlin, Germany. He was a cataloger and he created a visual index for cataloging images. In 1935, Bettmann left Nazi Germany for New York City with two steamer trunks full of pictures, books, and film (15,000 images). Once in New York, he created an industry of collecting and classifying historic images for publication. In 1995, the archive was sold to Corbis Images, a digital stock photography company in New York City founded by Bill Gates. In 2002, to preserve the photos and negatives, Corbis moved the archive from Manhattan to the Iron Mountain National Underground Storage Facility, a former limstone quarry located 220 feet below ground in western Pennsylvania. This site was chosen because it’s the most seismically sound and environmentally optimal location for film preservation in the United States. Over the years, other collections were added to the archives including the United Press International collection. There are 19 million historic photographs and images stored in this facility. The Corbis website is mainly for selling reproductions of their photographs, so I sent an email to their sales department explaining what I had. An hour later I received an email from their Sales Manager! Not only was he happy I contacted Corbis, he told me his wife was actually from Hamden! Small world! I mailed the photograph to him on July 10th and on July 14th, I received an email from him letting me know the photo arrived safe and sound. It will be shipped off to Pennsylvania for digitizing and preservation. He included a link to a 10 minute video that talks about that facility. You can view it here. I want to thank Sam Pagan and Oscar Espaillat from Corbis Images. They were very helpful. I wish I was able to find out how the photograph wound up at the Cheshire Library, but the paper trail was just too old. But I certainly enjoyed learning about the Bettemann Archives and Corbis Images and I hope you found it interesting too! If you’re interested in the story of Charles Lindbergh and Anne Morrow Lindbergh, the Cheshire Library has an assortment of materials for you to peruse. I reviewed the fiction book, The Aviator’s Wife in an earlier post you can read here.